It all began in 1979. Malaysia's Father of Modernisation, Tun Mahathir Mohamad, (then the Deputy Prime Minister of Malaysia), mooted the idea of establishing an automotive assembling and manufacturing industry in our country. It was Tun Mahathir's dream to accelerate Malaysia's industrialisation capabilities to match those of developed nations. 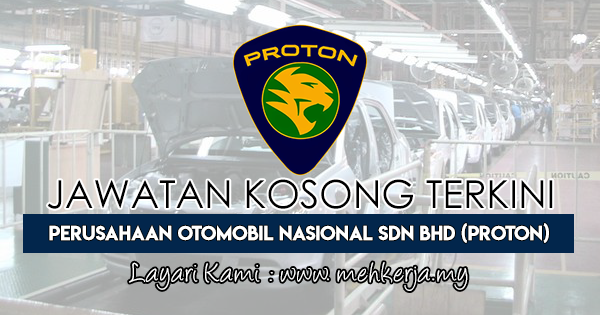 0 Response to "Jawatan Kosong Terkini di Perusahaan Otomobil Nasional Sdn Bhd (PROTON) - 10 Mac 2019"